How low will they go? The price war between Sprint and T-Mobile continues to rage on. Sprint slashed the cost of its iPhone Forever plan to $1 a month for a 16 GB iPhone 6S on Thursday, and $5 a month for a 16 GB iPhone 6S Plus. The catch is you have to trade-in an iPhone 6. The iPhone Forever plan lets customers lease iPhones from Sprint, and upgrade to a new device whenever Apple (AAPL) releases a new smartphone. Regular price for a 22-month commitment with a trade-in is $22 a month, and $27 a month. Sprint's (S) latest deal comes just a few days after T-Mobile announced a huge deal of its own upgrade-anytime "Jump On Demand" plan. T-Mobile (TMUS) cut its monthly Jump On Demand price from more than $25 a month to $5 a month for an iPhone 6S on Tuesday. The company also cut the price for the iPhone 6S Plus from about $31 a month to $9 a month. 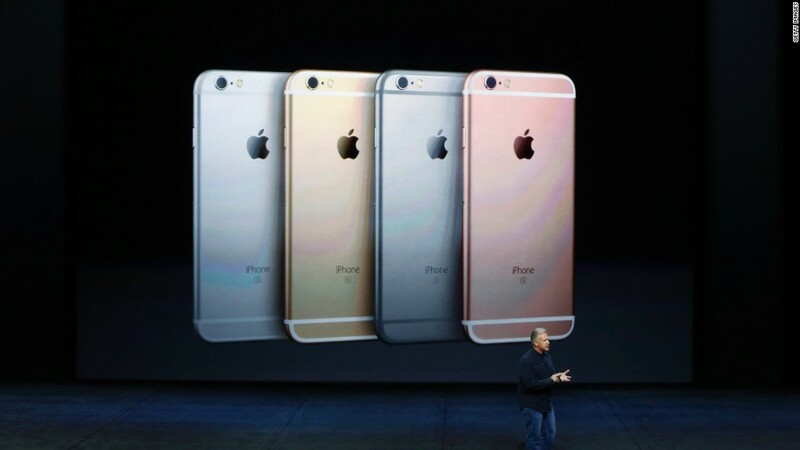 Like Sprint, T-Mobile will only give you the promotional price with the trade-in of an iPhone 6. But, T-Mobile lets you upgrade up to three times per year -- whether you want a new iPhone or any other smartphone. The price wars have heated up as carriers have given up on two-year contracts. Cell phones no longer universally cost $200, and switching between wireless companies is easier. That means the deals have come pouring in. Though Verizon (VZ) and AT&T (T) aren't racing to the bottom on price, both are offering up to $300 ($400 on Verizon) for switching to their service and trading in an old smartphone. That gets you within striking distance of Sprint and T-Mobile's monthly costs when spread out over the course of two years.